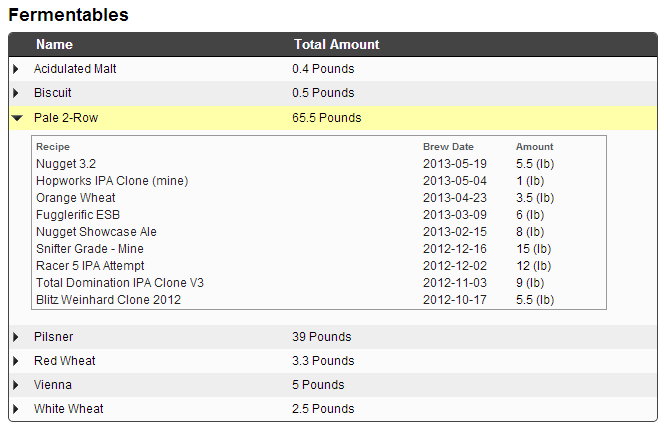 Our brewing software tracks all the details for you. After you login, (please sign up first), you will have the ability to run reports on this page. 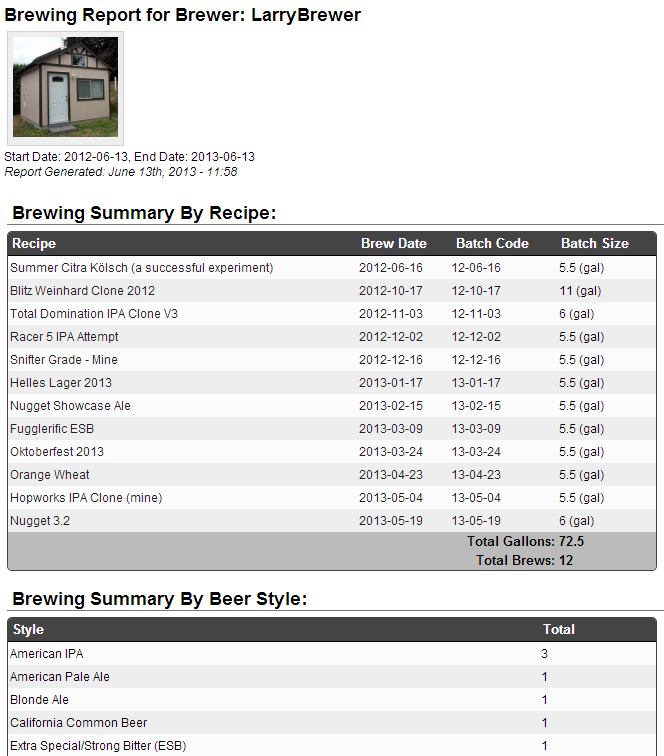 The brewing report gives a summary of all the brews you did in a given time frame, reporting the total volume, and a breakdown by beer style. It also allows you to see how much of each ingredient was used, with the ability to drill down.